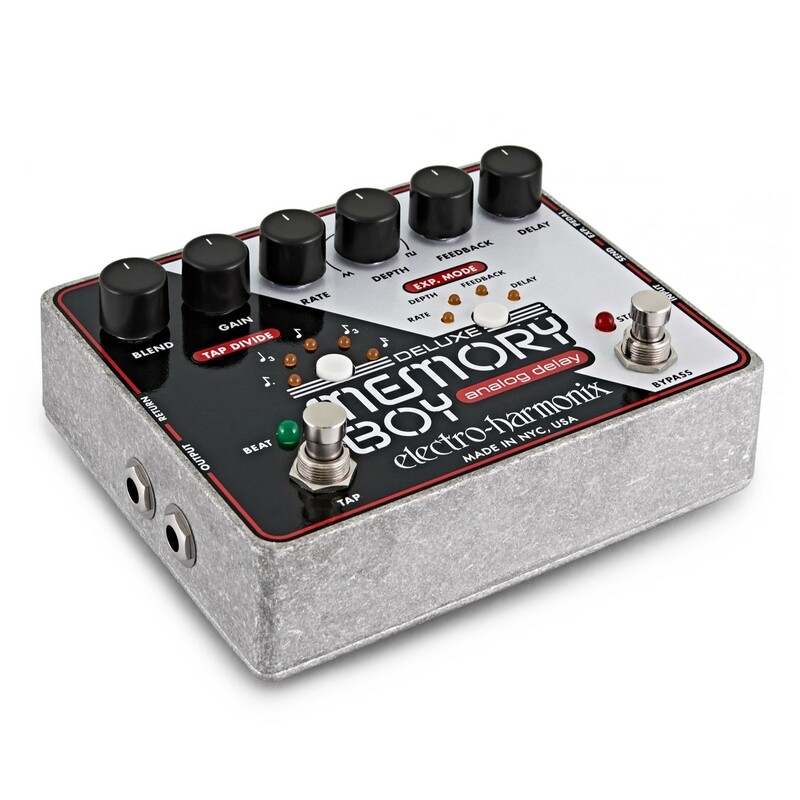 The Deluxe Memory Memory Boy is the newest member of the iconic Memory Man Analog family of Analog Delay Pedals. IT carries on the family tradition with new performance aspects that give it unique power and metronomic definition. 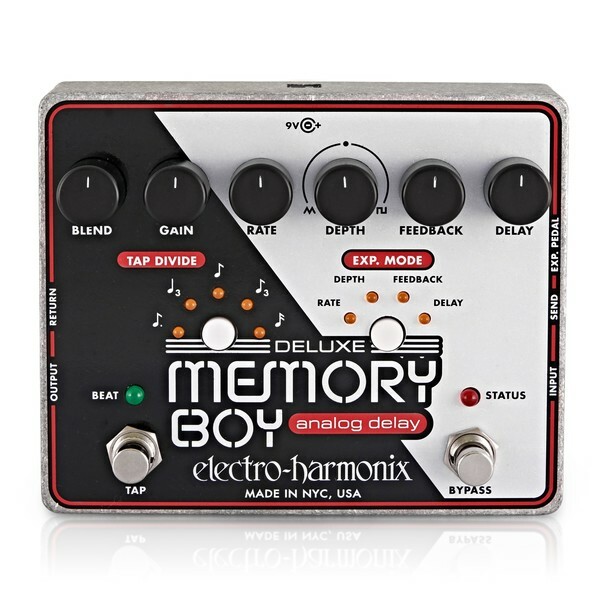 Electro-Harmonix is proud to present The Memory Man full line of delays for today's musicians. Delay is an effect that records your instrument then plays it back a fixed or variable amount of time later, from 2 ms to as much as 3 seconds later and multiple times if you like. In addition you can mix together your dry instrument with the delayed instrument, which is echo, and modulate the delays to produce vibrato or chorus effects. 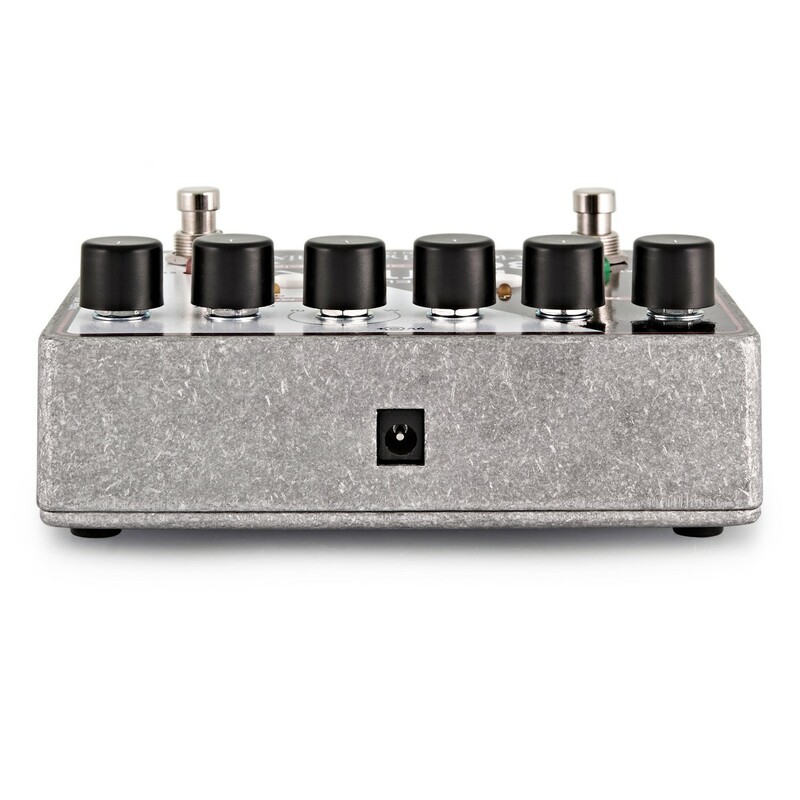 The Deluxe Memory Boy has quality IC's deliver warm and organic tones while the new Tap tempo allows you to always be in perfect sync with the groove. Choose from five note divisions for metronomic variance while staying in sync and always on the mark. The added EFX loop integrates your pedals to follow the groove with tonal dexterity. 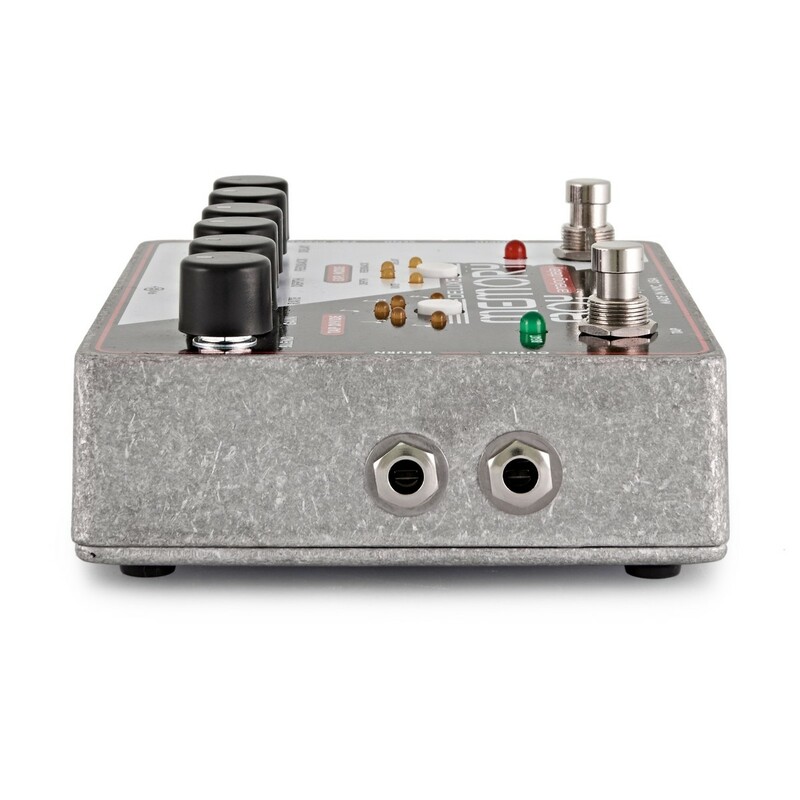 Use an expression pedal to control your modulations for performance flexibility. The Deluxe Memory Boy is smart and always on time.